If you are looking for private jet charter service for travel to Cabo San Lucas, you would be remiss if you didn’t choose JetOptions. There are many significant perks to selecting your charter jet, like making your own flight schedule, plus, you may even be able to avoid going into the terminal altogether. Travel without stress and create memories you won’t soon forget with the ultimate in private plane travel services from JetOptions. JetOptions has availability for any location and airports all around the world including service from and to the Los Cabos International and the Cabo San Lucas Airport. Exotic places are within your reach so that you can get away at a moments notice, or for a long-scheduled trip. There are two airports in the Cabo Peninsula to select from, the larger Los Cabos International Airport and the smaller Cabo San Lucas International Airport. This is the sixth-busiest airport for passengers in Mexico serving San José del Cabo, Cabo San Lucas, and the greater Los Cabos area. The airport managed 4,248,000 passengers in 2016, and 4,909,700 in 2017. It has become the most significant airport in the state of Baja California Sur. As a dramatic increase in the number of resorts has occurred and the region’s fast population growth, the airport‘s infrastructure is now insufficient during peak hours to meet the positioning needs of commercial aircraft. Los Cabos International is the destination airport for many airlines coming from the United States and Canada. It’s also a top five destination for general aviation, with more than 160,000 passengers in the executive travel category last year. There are three terminals at Los Cabos. One is dedicated to domestic flights while the other two are dedicated to international flights. Private Jets and passengers typically routed through Terminal Two. The Los Cabos International Airport has handled millions of passengers just in the past couple of years. As Cabo San Lucas has become an even more popular vacation and tourist destination, the region has experienced an increase in both population and traffic to and from the airport. The Cabo Peninsula is between two seas, the Pacific and the Sea of Cortes. The region came back strongly after Hurricane Odile in 2014; the Los Cabos International Airport suffered damages to planes on the ground in addition to the wind damage to terminal structures. The Cabo San Lucas International Airport is the only international private airport in Mexico. In addition to general aviation services, there are commercial flights here for a regional airline, Calafia. This airline shares the airport terminal, and the gates. International Customs Services, Immigration, agriculture, and the Mexican FAA are all located on site at this medium-size airport. Cabo San Lucas International Airport is located near Cabo San Lucas. In fact, it is less than 5 miles away. Taking a private jet to this Cabo airport means visitors will not be at all from the main city sites in the US, and the airport is not as busy with commercial traffic. 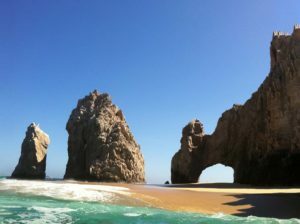 When you fly by private jet to Cabo from outside of Mexico, your customs information is sent in advance by JetOptions. In some cases, you may be able to clear customs while staying on board your aircraft, regardless of which destination airport you ultimately select. FBOs: There are many fixed base operators (FBOs) in operation at MMSD along with ground handling operations and jet fuel service companies. Hangar services and ground transportation are all available here. FBOs: There are many fixed base operators on the ground at MMSL, handling operations, jet refueling services, hangar services, and passenger transportation and terminal services are all available at this general aviation and a small airport. Are you traveling in or out of Cabo San Lucas and want to fly in luxury and style? Then look no further than the elite, preeminent services we offer at JetOptions. To see just how valuable our private jet services are, quickly request a quote online or simply call us. Fly to your choice of airports in and around the Los Cabos Peninsula. 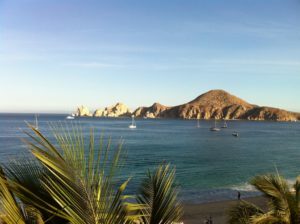 You can depart Los Angeles, Dallas, or Houston and arrive in Cabo in as little as two and a half hours. Plan your next trip to Cabo on your schedule, from any city you desire – with your choice of aircraft and catering at JetOptions Private Jets. Call us, Email us, or simply fill out our no-obligation quote request form and get started today.